Mums come in all shapes and sizes, and this is true. The shot scrolls past some mothers, one is old, sick and cute looking. The next mother is very thin, like a stick. The last mother is a bit overweight but cute nonetheless. At the end text comes up and announces that 'But none measure up to you!' 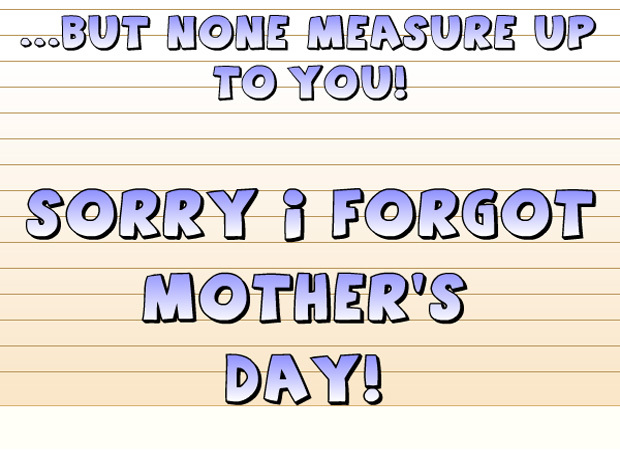 along with 'Sorry I forgot Mother's Day! '.